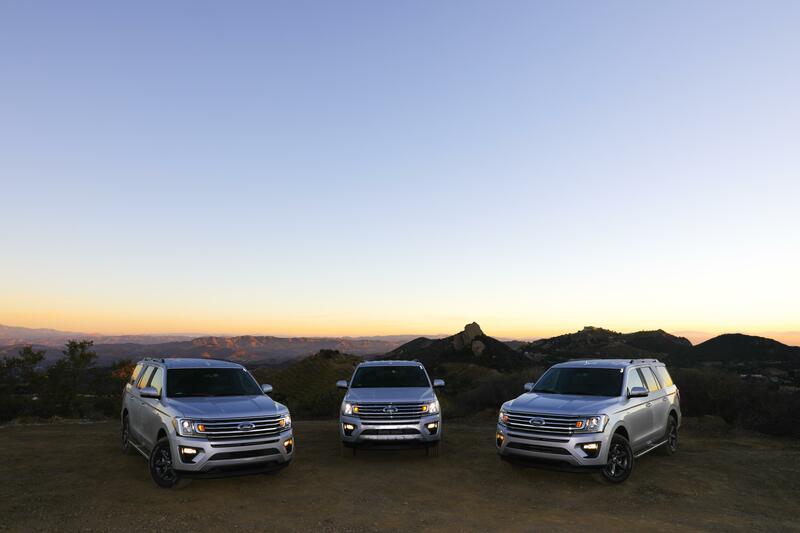 What's the Best 2018 Ford Expedition Trim Level for Me? The Ford F-150 is the best-selling pickup truck in North America, and it has been for more than two decades. If you think that’s an accident, think again. It’s because Ford trucks are the toughest, most versatile, and most reliable pickup trucks on the market. When it comes time to choose the right 2018 Ford F-150 for your lifestyle, you’ll find you have a bunch of options. The Southern California Ford dealers can help. Here are some of the key features for each of the 2018 Ford F-150 trim levels. The 2018 Ford F-150 XL comes standard with the new 3.3-liter V6 engine with Auto Start-Stop Technology, while the 5.0-liter Ti-VCT V8, the 2.7-liter EcoBoost, and the 3.5-liter EcoBoost V6 are optional. A 6-speed transmission with selectable driving modes is in every F-150 XL, and 4x4 is optional as well. Cloth seats are standard equipment on this base trim, although valuable features like air conditioning, cruise control, and Rear-view Camera with Dynamic Hitch Assist are all standard features. The same powertrain options are available on the F-150 XLT as the XL trim with the 3.3-liter V6 as standard equipment. 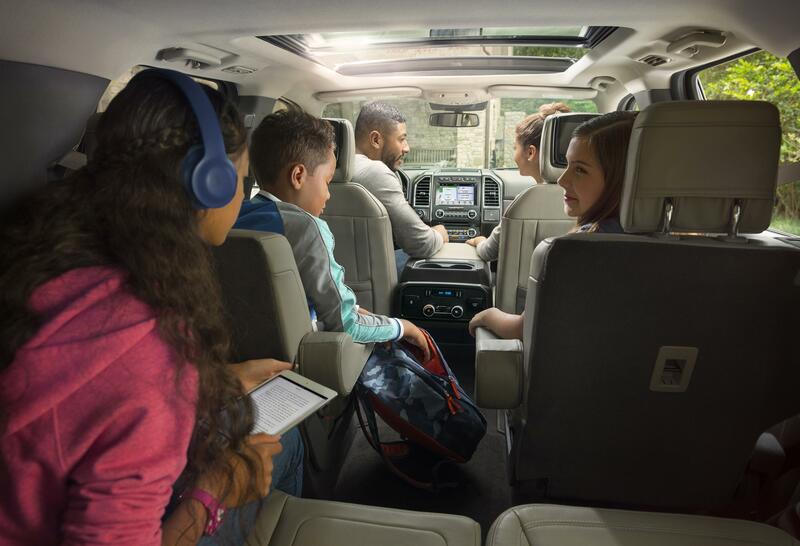 Heated seats are optional on the F-150 XLT, and Ford SYNC with AppLink is found in all XLT models. Power windows are standard equipment as is SecuriCode Keyless Entry. A twin-panel moonroof is available to elevate the inside experience. A major step up happens in the 2018 Ford F-150 Lariat trim. The base engine is a powerful 2.7-liter EcoBoost V6, and the transmission included is a 10-speed automatic with driver-selectable modes. 18-inch machined aluminum wheels are fitted as standard equipment, and you’ll find BoxLink, LED box lighting, and fog lamps on every Lariat. The front seats are heated and ventilated leather upholstery for an upscale experience. SYNC 3, an 8-inch touchscreen, ambient lighting, Intelligent Access, power pedals, and a trailer hitch are all included. It gets real interesting with the 2018 Ford F-150 Raptor. It’s an off-road mammoth with 4x4, FOX Racing Shox, off-road suspension with Terrain Management System, and a high-output 3.5-liter EcoBoost V6 with 465 horsepower. 17-inch cast aluminum wheels, flared fenders, block-style FORD lettering, quad-beam LED headlights and LED taillights, running boards, and skid plates are all standard on the Ford F-150 Raptor. Cloth seating is available while leather heated and ventilated seats are a nice option to choose. You also have option of SYNC or SYNC 3 infotainment and a wide range of selectable add-ons. A hardworking, rugged pickup truck trim is the 2018 Ford F-150 King Ranch. It comes equipped with a 5.0-liter Ti-VCT V8 with the 3.5-liter EcoBoost V6 as an option. King Ranch-badged wheels, seats, and interior trim make this model uniquely detailed. Leather heated and ventilated front seats are included along with heated rear seats, SYNC 3, SYNC Connect with Wi-Fi Hotspot, voice-activated navigation, a 110V inverter, ambient lighting, and much more. The same powertrain goes for the Platinum edition as the King Ranch. 20-inch aluminum wheels are fitted, body-color bumpers replace the chrome detail, and power deployable running boards are standard equipment. Blind Spot Information System is included on the Platinum trim along with rain-sensing wipers, automatic high beam headlights, and premium leather upholstery. This high-end trim for Ford trucks includes a 3.5-liter EcoBoost V6 engine, 22-inch aluminum wheels, satin chrome exterior detail, and a twin-panel moonroof as standard. Advanced features are part of the Limited trim, including a 360-degree camera, Adaptive Cruise Control, Lane Keeping System, and pre-collision assist. Everyone’s needs in a pickup truck are different. With the 2018 Ford F-150, there are seven incredible options to choose from. You’ll find the right one for you and the work you do at your local Southern California Ford dealer.